Geeta Phogat might be feeling the pressure of making a comeback at the upcoming Pro Wrestling League after a long injury lay-off but she feels it is nothing compared to the "tough training" she went through during her formative days. 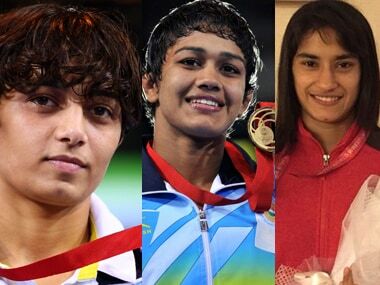 Amid the celebrations over Sakshi Malik's bronze medal, the Indian contingent at the ongoing Rio Olympics received another piece of good news with doctors announcing that her fellow female wrestler Vinesh Phogat will recover from her injury within two weeks. 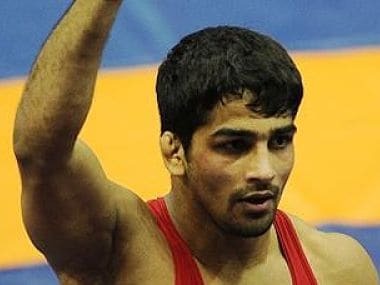 Grappler Sandeep Tomar is confident of the wrestling contingent's medal chances at Rio, will he be one of the medal prospects? Road to Rio: Can wrestler Sakshi Malik pick up where Geeta Phogat left off at Olympics 2016? Sakshi Malik has always played second fiddle to Geeta phogat in their wrestling category, but this Olympic event paints a different picture. 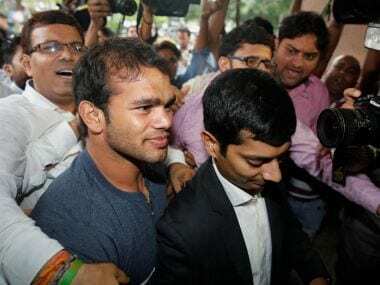 The National Anti-Doping Agency (NADA) on Saturday yet again deferred its verdict in the ongoing Narsingh Yadav doping case and likely decision over the fate of the wrestler's Rio Olympics appearance will now be reached on Monday. NADA had earlier too remained undecided on Thursday after a two-day hearing. Union Sports Minister Vijay Goel, on Wednesday, said that doors are almost shut for dope-tainted wrestler Narsingh Yadav to go to Rio Olympics and said it is time for the conspiracy theories to stop.